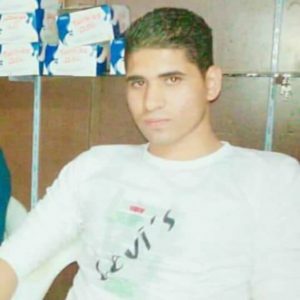 A young Egyptian Copt reported to have committed suicide in his army unit last week was in fact killed by his commanding officer, his family say. Matthew Samir Habib, 22, was pronounced dead at his Al-Ahram Palace Club unit in Giza, just south of Cairo, last Wednesday morning (14 March). His father, Samir, was told that his son had shot himself twice. This was also the official cause of death lodged on the burial permit. Samir, however, refused to sign the document and receive the body, saying he did not believe Matthew had taken his own life. “Matthew told us many times before that the colonel in his military unit, Ayman Mohamad Ahmed El Kabeer, was always persecuting and insulting him because of his religious identity,” a family member, who did not wish to be named, told World Watch Monitor. The family member added that Matthew was a very devout young man, whose faith would have prevented him from taking his own life. They also asked how he could have shot himself twice in the chest, when the first shot should have proved fatal. Matthew came from Ballout village in Asyut Governorate, around 350km south of Giza. He graduated from the Space Institute of Asyut in 2016 and started his military service a year later. He was expected home in June. A priest from a local Coptic church, who did not wish to be named, told World Watch Monitor he was convinced the suicide allegation was untrue and that Matthew had told him about his persecution in the army. A group of Matthew’s family and friends protested in front of the local police station on 14 March, demanding urgent investigation into his death. The protest was filmed by a Coptic Christian from Matthew’s village. A human rights activist in Minya and Asyut, who did not wish to be named, called for an investigation into Matthew’s death, and also those of a number of other Copts found dead in their units. “The alleged suicide of a number of Christian soldiers have raised many questions, but there has been a lack of investigations,” the activist said. “In many cases, the military spokesman declares data on the development of various issues. So why have they not used the same method to declare facts about Coptic soldiers’ cases? Families of victims have a right to know what happened to their sons and learn all the facts. Matthew’s relative said his father was eventually forced to receive his son’s body. His funeral was held at Saint George (Mar Girgis) Coptic Orthodox church in Ballout village later that same day, as is customary, and attended by a large crowd of Christians. He was then buried in his family’s cemetery in Ballout village.